As shared by our friends at The Crooked Road. Mountain Lake Lodge in Pembroke, Virginia, will celebrate its 10th annual Brewridge Festival as a newly designated Affiliated Festival of The Crooked Road. This music and craft brewery-tasting event takes place every May on the scenic grounds of the historic resort and 2,600 acre nature preserve. Affiliated Venues represent the best in traditional music gatherings that the region has to offer. The event runs from 12:00 PM to 5:00 PM on Saturday, May 20, and The Crooked Road will present representatives of Mountain Lake Lodge with an official Affiliated Festival banner at the event at 1:00 PM. The current-day massive sandstone Lodge was constructed in 1936 and has welcomed vacationers for decades to enjoy the pristine setting adjacent to picturesque Salt Pond Mountain. In recent years, the Lodge has taken advantage of its wilderness setting by providing expanded outdoor recreation opportunities to its guests. As an Affiliated Festival, the Brewridge Festival will be represented in Crooked Road publicity and promotional materials and recognized as a regional destination to Trail followers. 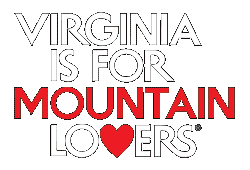 The Crooked Road’s mission is to support tourism and economic development in Southwest Virginia by celebrating and preserving this Appalachian region’s unique musical and cultural heritage. A complete listing of the Affiliated Venues and Festivals and the Major Venues of The Crooked Road: Virginia’s Heritage Music Trail can be found at www.thecrookedroad.org. For additional information about The Crooked Road, call 276-492-2409 or send an email to info@thecrookedroad.org. For more information about the Brewridge Festival, call 540-626-7121 or go to http://www.mtnlakelodge.com. Continue to be a Tourist in Your Own Backyard this month and enjoy Mountain Lake Lodge and this family friendly event.